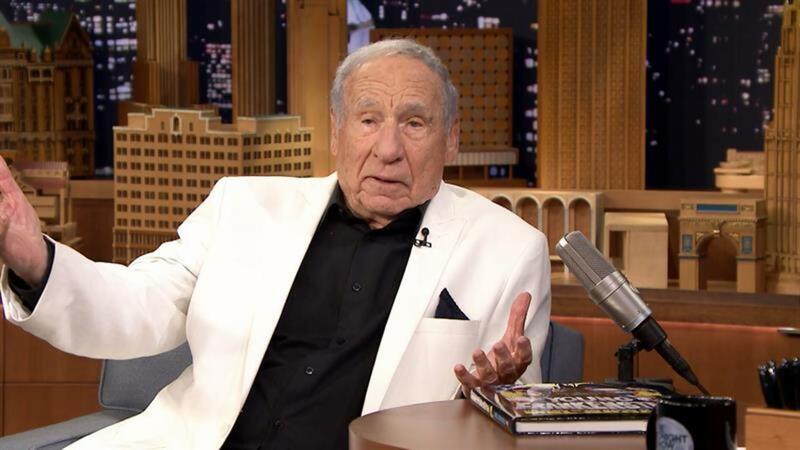 During his Tuesday-night appearance on The Tonight Show, Mel Brooks dedicated his interview to remembering his partner-in-comedy Gene Wilder. The two played integral parts in each other's film careers, and their movies together (The Producers, Young Frankenstein, and Blazing Saddles) each deserve a spot in movie history. "He was such a wonderful part of my life," Brooks told Jimmy Fallon. "I expected that he would go but when it happens, it's still tremendous. It's a big shock. I'm still reeling." Brooks shared the well-known, still beloved story of how he and Wilder met through Brooks's late wife Anne Bancroft, and a sweet story about their first film together. Check out more from Gene in the gallery below.